Although developers at Double Fine are presumably still at work on the second part of Broken Age, the prolific studio has plenty of other projects in the hopper. One of them is Hack ’N’ Slash, a game that resembles The Legend Of Zelda except that you can tweak the rules as you go along. We mean “rules” in the nerdiest sense here, as Hack ’N’ Slash invites you to open up an ersatz computer window and tweak the underlying variables of Hack’s program. In other words, you’re “hacking” the game as you play it. 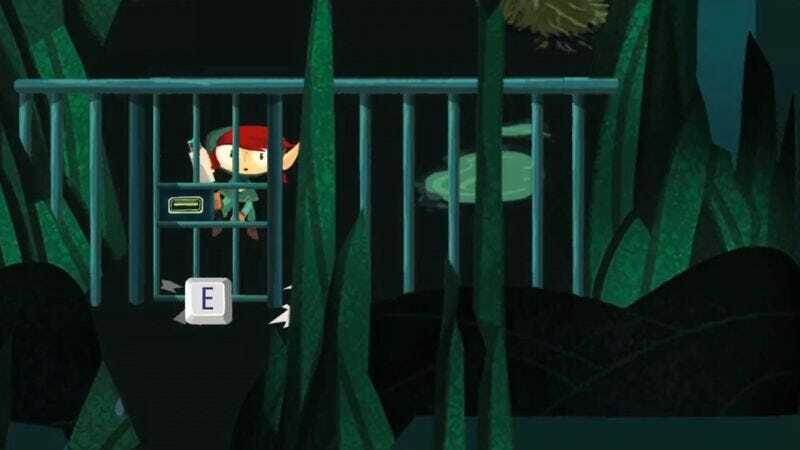 Double Fine paid tribute to Hack’s Hyrulean roots with a trailer that riffs on an infamous Zelda commercial from the ’80s.